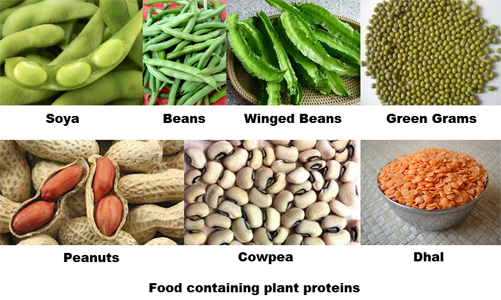 Many of the foods we eat contain protein. Chicken, beef, lamb, fish and legumes like beans and lentils contain a lot of proteins. There is also another name for proteins which is called, ‘Body building food’. The protein found in foods is used by every part of the body to develop, grow and function properly. Protein is a major contributor in human body development. Eating a high-protein diet has a number of health benefits. Following is a list of functions of proteins. In fact, while you’re running or just hanging out, protein is doing important work like moving your legs, moving your lungs, and protecting you from disease. Protein is also the basis of our tendons, ligaments, collagen, hair and skin. It is essential for antibody production and a healthy immune system and also helpful for transportation of vitamins, minerals and oxygen throughout the body. Proteins maintain correct fluid balance and the healthy hormone production. It also, helps to brace your blood sugar levels, and most importantly protein improves your ability to learn and concentrate, reduce brain fog and boost your energy levels. Getting enough protein in the daily diet helps overweight people in weight loosing. Having protein in meals increases the feeling of fullness, satisfies hunger and reduces the need for extra, unnecessary calories, which are great plus points in the weight-loss journey. Now you can understand how essential nutrient is protein for the human body.